I had been dreaming of this recipe ever since the latest issue of Clean Eating Magazine arrived in my mailbox. A photo of these interesting looking manicotti bundles graced the cover, but when I looked further into the recipe, I was a bit taken aback. The trouble was, their version of this dish had tilapia, cream cheese, and carrots mixed together for the filling, and even typing that out here makes me want to throw up a little bit. I’m sure it’s tasty….. just not for me. 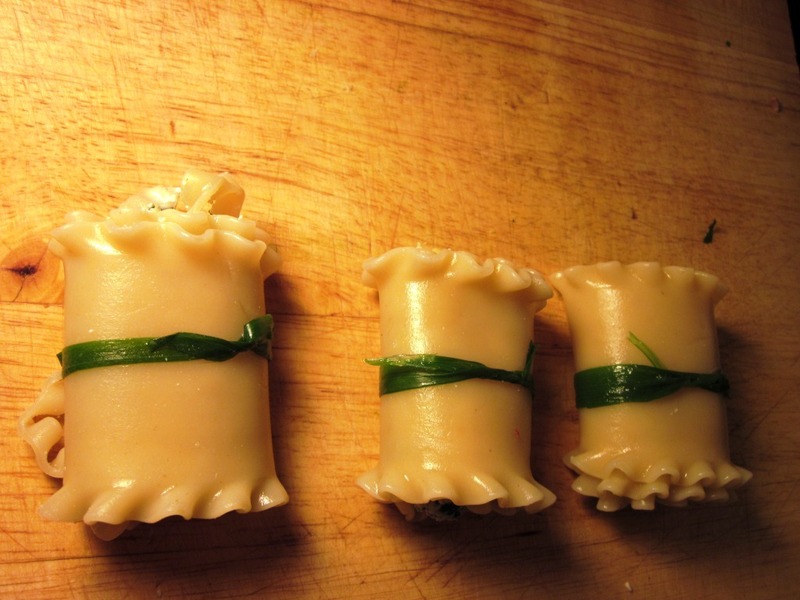 I wanted to use this concept of these little bundles, but make them with a delicious and creamy artichoke, spinach, and ricotta filling. 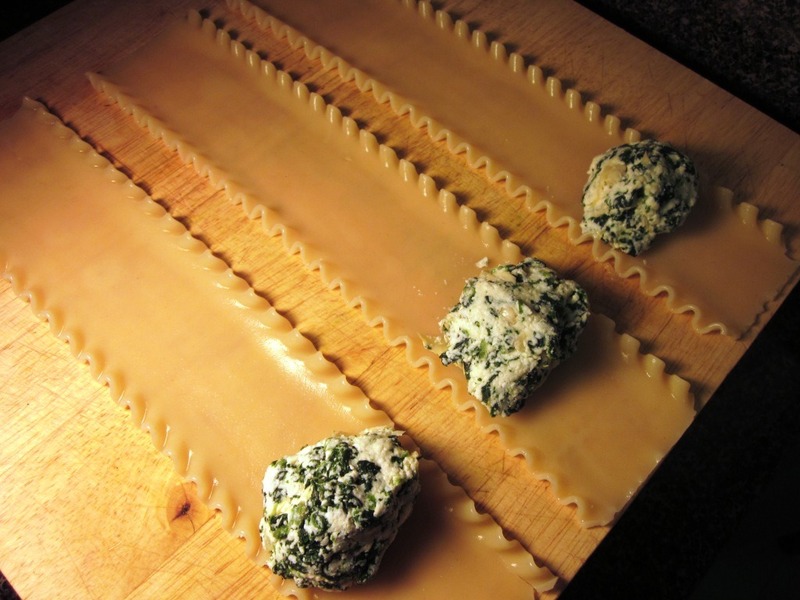 I love the idea of these because there is instant portion control with the bundles, which can be SO hard with lasagna. My version of the recipe did not disappoint at all. 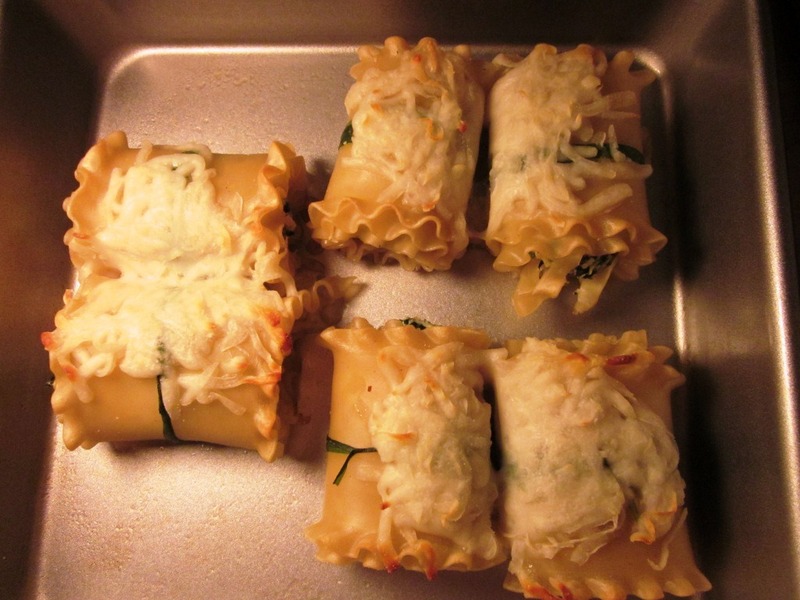 In fact, these little bundles of deliciousness were oozing with gooey cheese and packed with flavor. They are also really simple and fun to make because you get to use your hands – one of my favorite parts of cooking. If you try these, please feel free to experiment by subbing in different veggies and other mix-ins, or using tilapia, cream cheese, and carrot filling if your little heart desires. The one mistake I made with this dish was that I realized after the fact that I had no sauce! I just ended up heating up some sauce and pouring it over, but in the printable version of the recipe, I recommend putting the sauce on before baking the bundles. Either way works, but I think it would be best to have the sauce baked into the bundles. Serves 3. Yields 2 bundles plus 1/4 cup sauce per serving. 7 pts+ per serving. First, preheat your oven to 350º and put on a large pot of water to boil. Next, count out 6 lasagna noodles. Boil noodles for 9 minutes, or the lowest number of minutes recommended on the package. 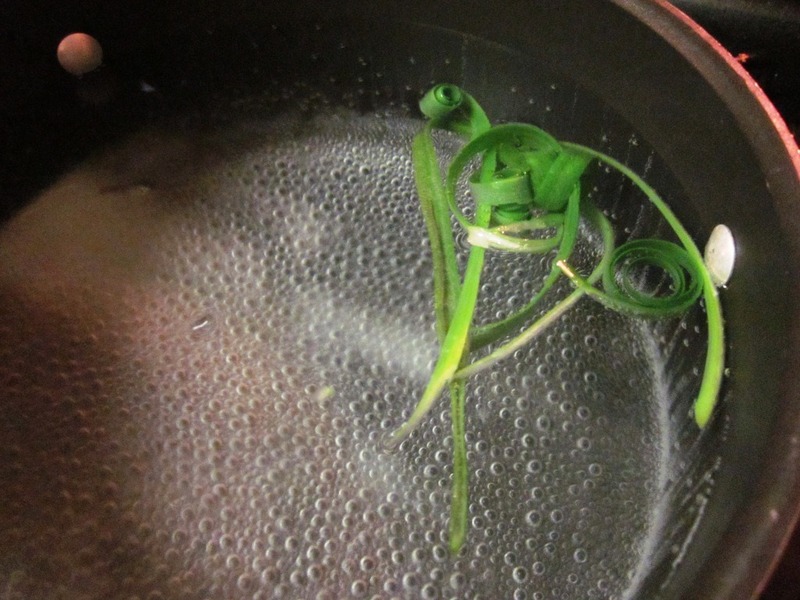 While waiting for the water to boil, take 1-2 green onions. And slice out 6 thin strips. Toss them in the pasta water for about 1 minute. And they straighten out and become much easier to work with. 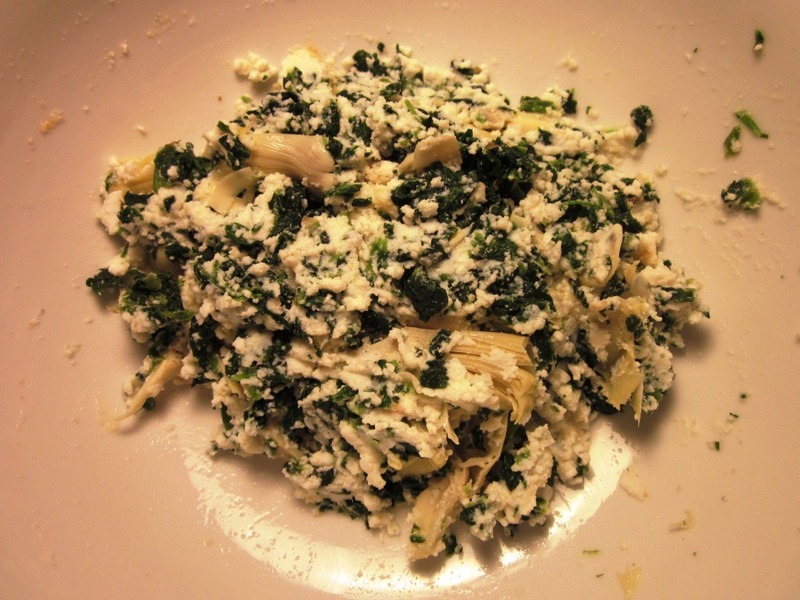 Meanwhile, while the noodles are cooking, combine the ricotta, spinach, artichoke, and garlic powder in a bowl. Mix until well combined and your filling is complete. Once the noodles are done, drain them and let cool until you are able to handle them. Lay 3 of the noodles out on a flat surface. Divide the filling in half and separate each half into three equal sized portions of about 3 tbsp each. 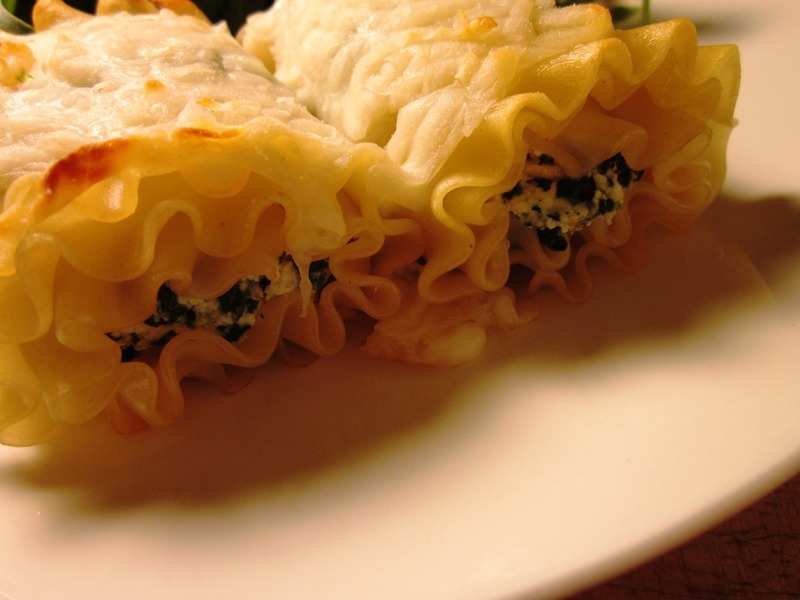 Place a portion on each of the three lasagna noodles about 2 inches from the bottom. Fold the bottom of the noodle up over the filling. 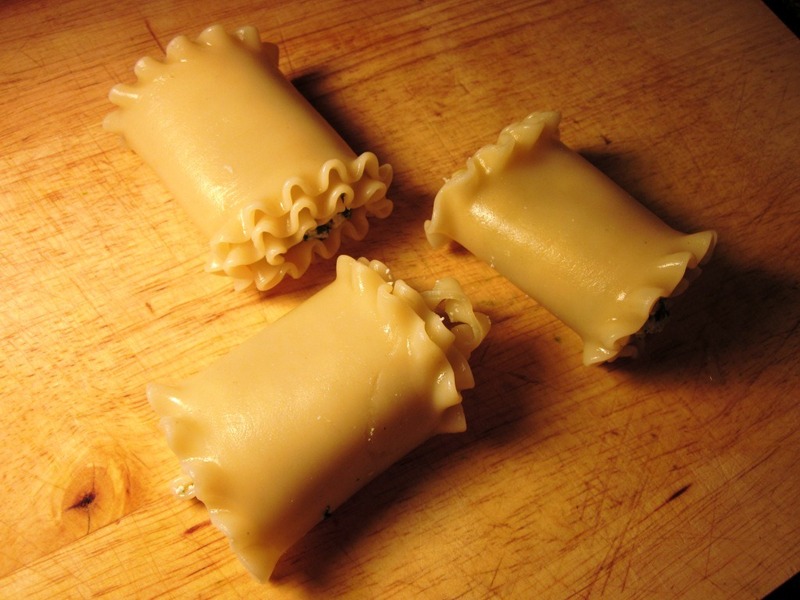 Roll the noodle around the filling the rest of the way, placing seam side down. 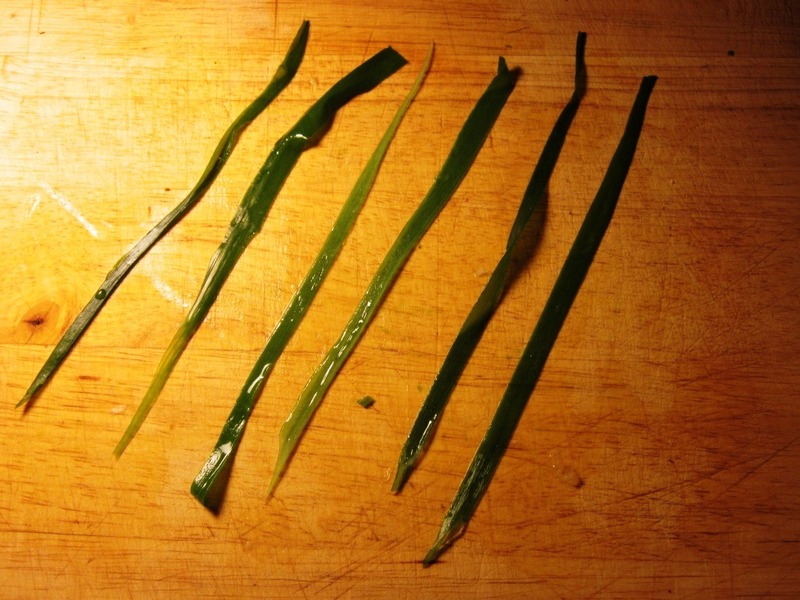 Tie a green onion strand around each of the bundles. 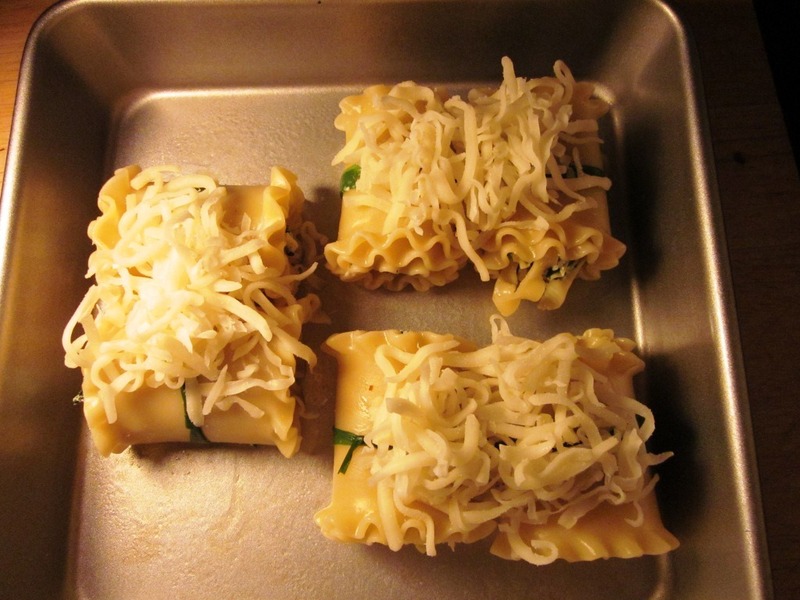 Repeat with remaining noodles and filling, and then place them all in a greased baking sheet. Divide sauce and cheese evenly between the bundles (I would put the sauce under the cheese if I had a do-over). Bake for 25 minutes until cheese is melty and beginning to brown. Serve two bundles per person with a side of choice. These were SO delicious. I did not want dinner to be over even a little bit. I loved how fun these were to assemble and eat, and of course how tasty they were. I will definitely be making these babies again (and won’t forget to put the sauce on first, though they were really delicious just like this as well). You can easily multiply this recipe because it would be a real crowd pleaser and a fun twist on traditional lasagna. Yum! What’s your favorite Italian dish to order in restaurants? How about to make at home? Linguini with White Clam Sauce in restaurants, and I love making pizza at home! these look awesome! 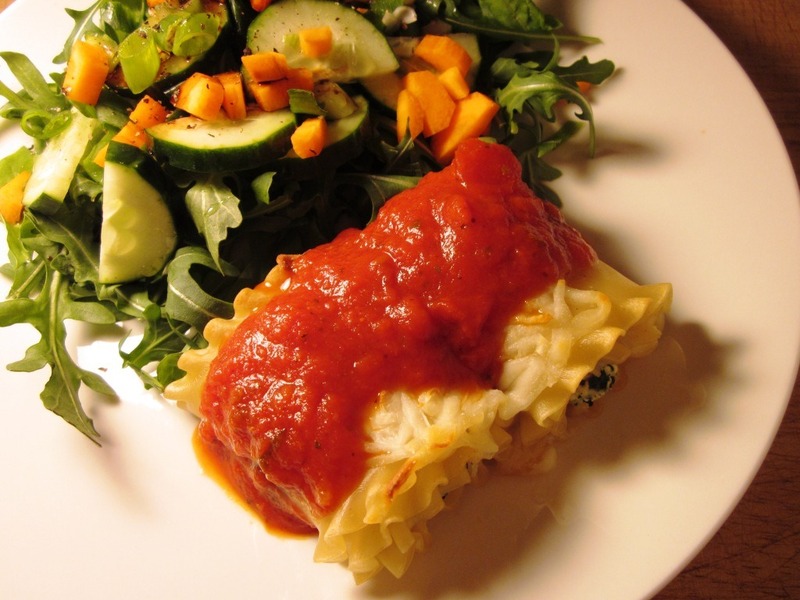 i have a lasagna rollup recipe on my menu for next week! Those look really good! I think we might try that sometime soon. On a side note, I just bought Ricotta for the lasagna I’m making this week and WF has really cheap 365-brand part-skim ricotta! I was shocked. When I go out for Italian, I always order linguine with white clam sauce OR some sort of pasta with chicken and cream sauce. At home, I make chicken parm and it is BOMB. I’m Italian so it is hard for me to attempt cooking or eating any “light” Italian- I gravitate towards the good ol’ heavy stuff. I ripped this recipe out to try too, looks so good! I would have made the same substitutions you did as well. 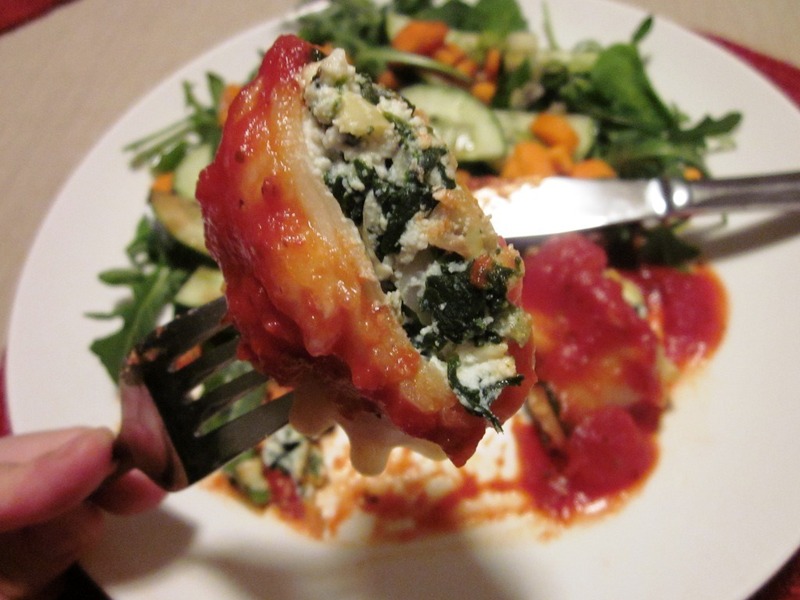 I love love love things stuffed with cheese and spinach. You have been making so many awesome recipes lately – I need to catch up and start trying them! I usually order pasta with seafood at Italian restaurants. I rarely cook Italian for myself at home, but I’ll make my husband spaghetti and meatballs or meat sauce now and then. Yeah, I agree with Liz–you have been on a cooking roll! 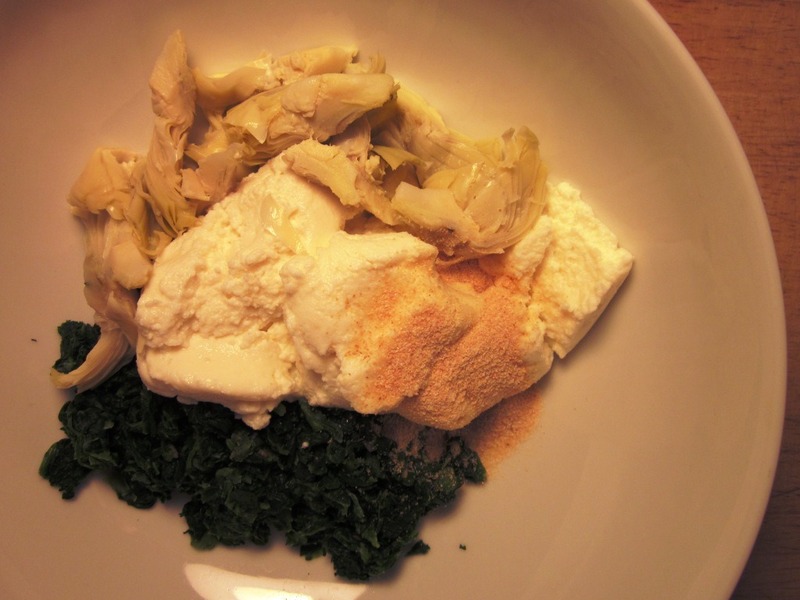 I’ve never combined artichoke with ricotta, but it sounds delish! These look DELISH, Beth! Such a good idea! When we went to Aqua al 2 on Saturday night we had this AMAZING app that was just balls of ricotta and spinach baked in tomato sauce. SO delish. Your filling made me think of them! Beth these are so adorable!!! My old roommate used to make us stuffed shells all the time and the filling was similar to yours, although we didn’t have artichoke in there and I bet that tastes amazing! Hey Beth – I did try the recipe with the tilapia – and it seemed weird to me too but it was actually really good! I like your version too – I’ll try it. I tried your mini Mexican casseroles last night and they were awesome – I passed the recipe onto many friends! And so glad you liked the Mini Mexican casseroles and passed along the recipe. That’s something I’m definitely going to be making again soon. So good, cheap, and easy! 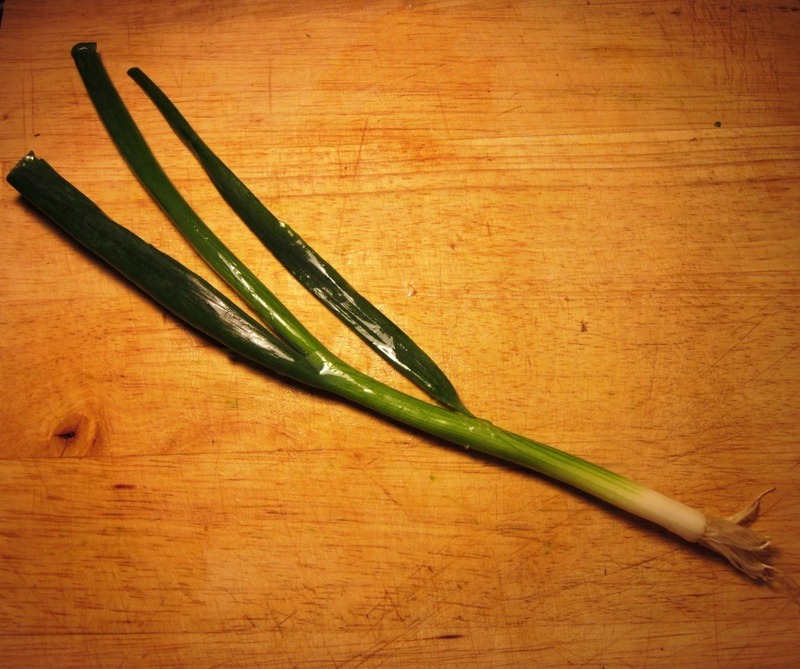 Love the green onion string! Wonderful presentation! this recipe looks amazing!!! thanks so much for the step by step. i was wondering if you used whole wheat lasagna noodles? if so which brand from where? some have the worst texture so i’d love to know which kind worked for you. thanks!! 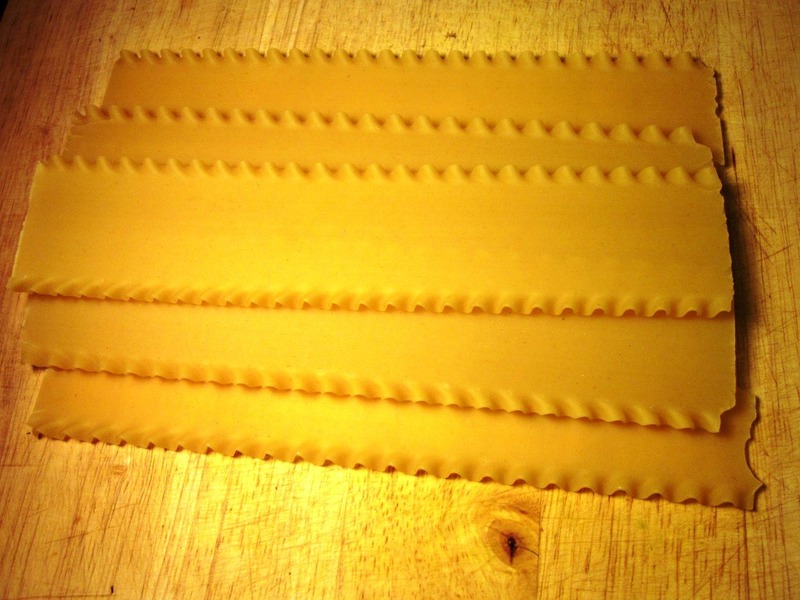 Those are actually just plain old organic lasagna noodles. I tried to find whole wheat but they were SO expensive. Mine were 365 brand from Whole Foods – $2.99 full price and I still have over half the box left! Very creative and pretty. I love the green onion ties! Your blog never ceases to make my mouth water!! This looks freaking AMAZING. Looks really yummy! Iwill be trying this soon. When we go out I typically order something with seafood. At home I make lots of pasta dishes like veggie lasagne, spagh/turkey meatballs, and lots of soups. I also like polenta a lot with sausage and peppers. Restaurants: Whatever “healthy” offering they have – usually a whole wheat noodle, olive oil, and mixed veggies. Its always different and always good! At home: Whole wheat spaghetti with turkey meatballs! I made my first ever baked ziti for Valentine’s Day and it came out AMAZING. I am not a fan of artichokes. What do you think would be a good sub? Man those look delicious!! 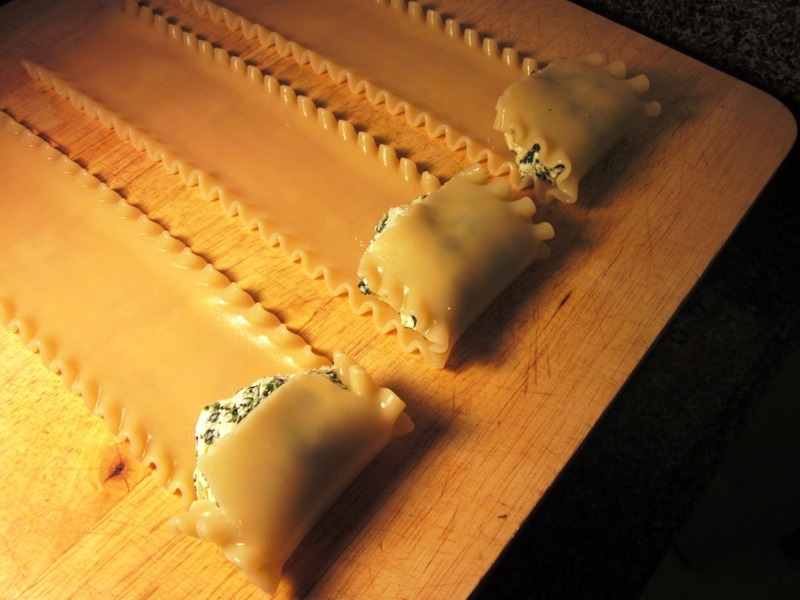 I can’t have pasta right now but as soon as I am cleared to do so these are on my list to make! yum! how many WW points per roll?? 3 pts+ per roll but you want to have two for a meal for sure! 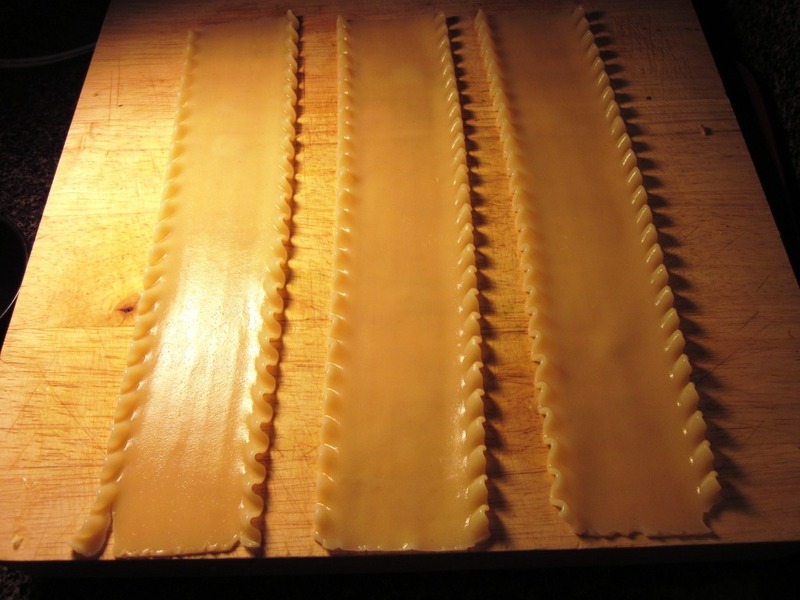 Each lasagna noodle is 2 pts+ and then 1 pt+ for 1/6 of the filling. So good! Hi Beth. Wow…these look amazing, thanks for the recipe, the photos and the ww point calculation. Have a great day. Ok, your version looks so good and sounds way better! I need to make these! My boys would love them! What a great recipe! 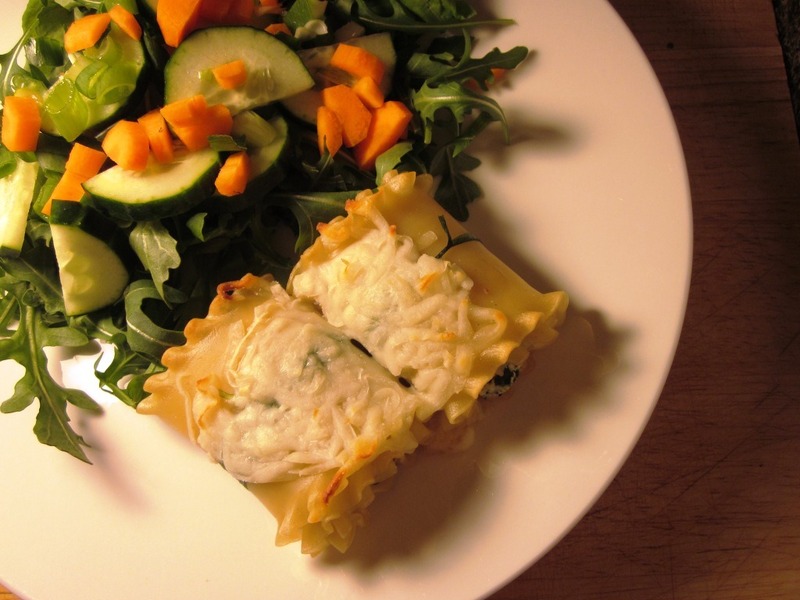 These lasagna bundles look delicious! If I go out to an Italian restaurant I always order veal scalloppini. Veal is expensive, so I never make at home, but it’s one of my favorite dishes. Yum! I made these tonight and they were great! The whole fam enjoyed em! Thanks for the step-by-step. I want to make those RIGHT NOW!!!!! I am going to make sure I have the ingredients, that is a yummy Sat. night meal for the Groff Clan!!! I am in heaven just looking at them!!! Ooh, that looks delicious! I would go with your substitutions, too. The original recipe… just not so much. I get that same magazine and had the exact reaction you did! Tilapia does not seem like something I would want associated with my lasagna noodles. LOL Your recipe looks amazing though, so I’m going to print it out. Thank you! Yum! What a creative and delicious looking meal! I love eggplant parm, but my husband can’t stand eggplant. So I tend to only have it as a treat on rare occasions. Oh my gosh those little lasagnas are adorable! Sorry about the baby talk ’round food, but honestly? They’re just so little and perfect! 3P+ per roll, not bad at all! Love the idea and love the green onion string tie 😀 My only hesitation is marinara with the spinach and artichoke, but then again it is pretty hard to go wrong with spinach & artichoke! Thanks for sharing! 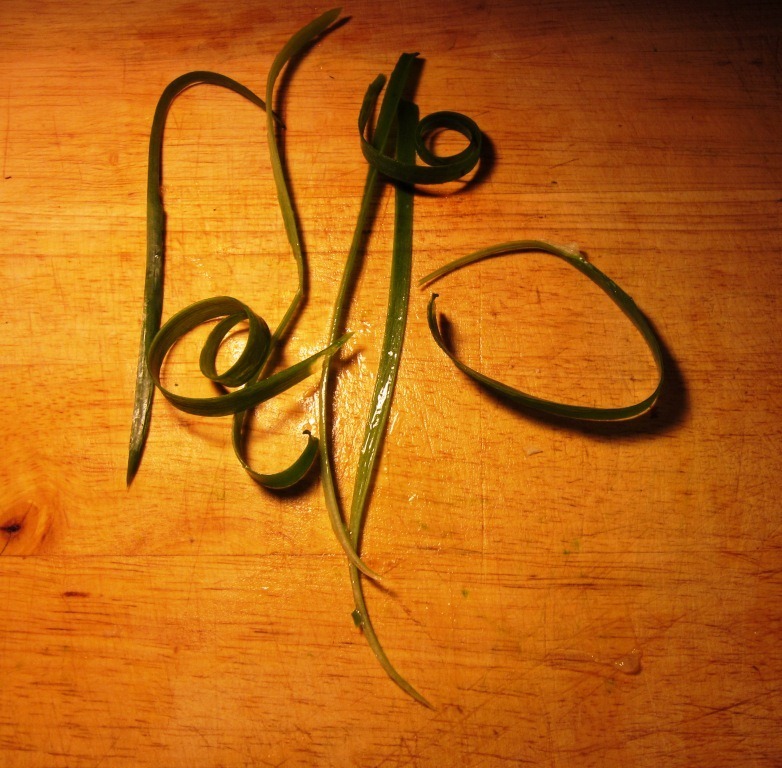 LOVE the idea of using the green onions to tie the rolls and keep them together…genius! You know I bet you could totally cut them in half and tie them up that way! I actually LOVE that idea and think I’ll do that next time I make these!! I just found this by googling spinach artichoke lasagna and it looks so good, i sent it to my husband to see if he wanted this for dinner! !